Painted her with no reference. She just emerged … and evolved. I love the fluidity of how it happened. I know it is cliche to say this but it is true. With enough practice, I have developed some muscle memory and that enabled me to be free and create. I often wonder where do inspirations come from. I have come to realize that for me it’s a combination of my environment, what I have recently been exposed to, what left an imprint in my brain. And my mood, how I am feeling. And also muscle memory from all my practice. That is how she came to be. And I love her. 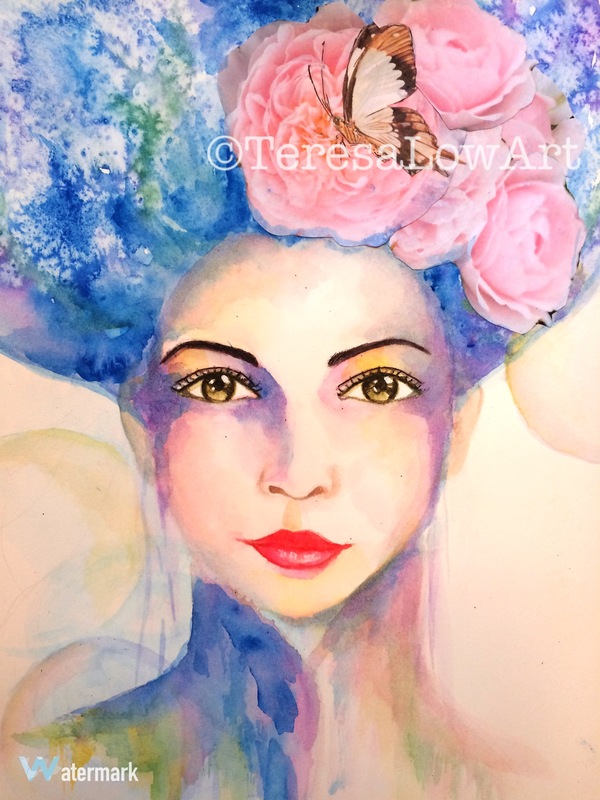 Title “Blooming Gorgeous”.